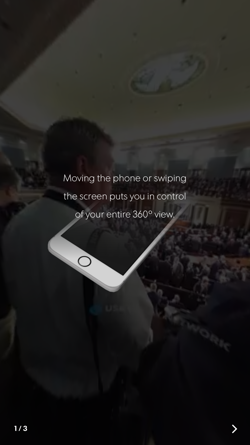 Redesign of USA TODAY NETWORK’s mobile app featuring virtual reality (VR) videos and 360 degree photos. 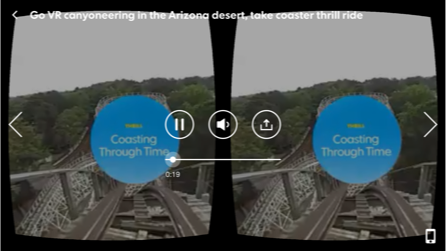 I served as the lead user experience architect for the redesign of USA TODAY's virtual reality app and had two other user experience architects assisting me. 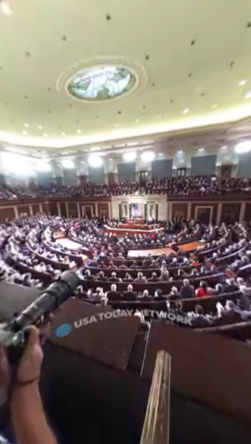 USA TODAY's VR Stories app for Android and iOS incorporates 360 degree photos and VR content into one cohesive mobile experience. In many ways, VR was (and still is) considered to be experimental technology. With limited users and and ever-changing hardware, UX standards and conventions have yet to be established and validated. 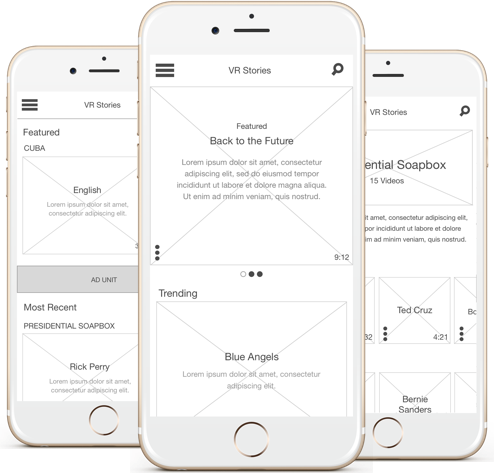 While drawing from current best practices in two-dimensional UI served as helpful guidance, it was exciting to discover new ideas for this medium. Once the requirements were set based on a limited timeline and scope, I set out a plan for the user experience strategy. After surveying the virtual reality competitive landscape, I reimagined the content strategy for the experience and then explored different ideas to create a new layout for the design. 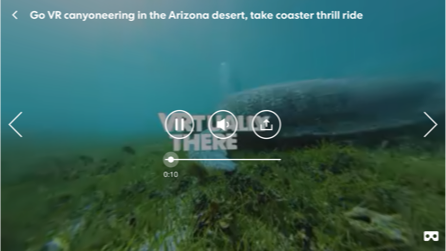 In the initial UX strategy for the app, one of the goals was to create a strong onboarding for the experience because 1) virtual reality is still fairly new and many people are unfamiliar with it 2) there is a considerable amount of virtual reality jargon. 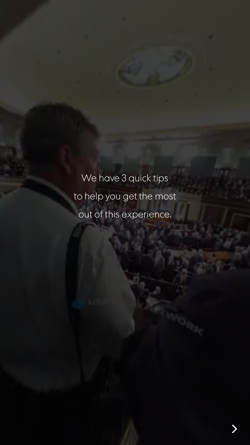 The resulting onboarding experience provides clear explanations for how users can engage with the different parts of the app. 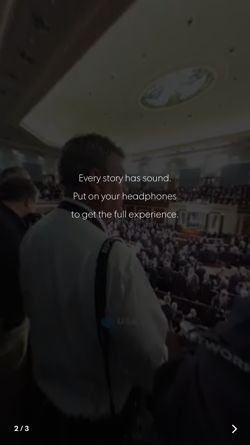 VR Stories original apps’ user flow had users go through multiple steps in order to actually view the content. I changed a couple of the steps (i.e., download vs. stream) to be passive interactions, as well as trimming a couple of unnecessary interaction points to help users to get to the content more easily. 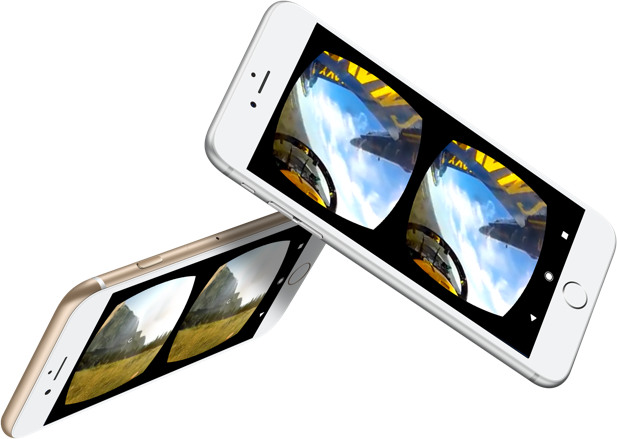 Since there are two primary ways to view the virtual reality content on the app, it was important for the user to be able to transition between them seamlessly. 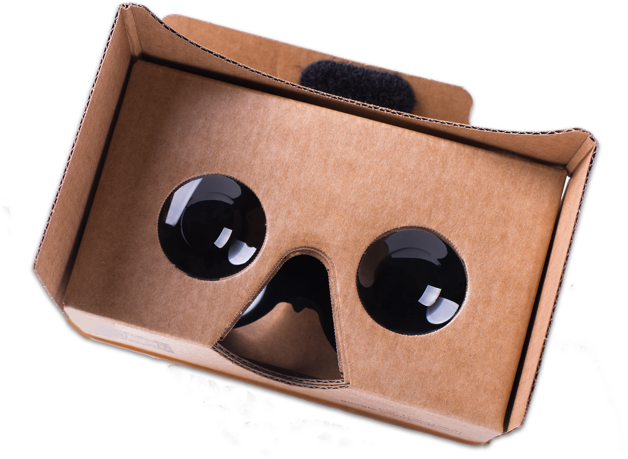 Users can either view the content via Google Cardboard or directly on their phones. Being able to switch between these views, was designed to be as easy as a click of button. 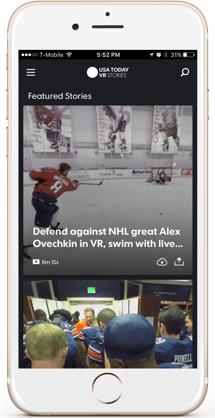 VR Stories redesign was launched in May 2016 and has received many accolades from users. that you can view the stories. I wish I could watch all news like this. Please, make more reports. Still awe-struck! I don't have a VR viewer yet. But watching the clips in my dark, quiet room was a pretty good indicator of what's in store for me once I get one! We live in amazing times. This is so beautifully done. Creating a user experience strategy for a mobile app that sends letters to military service members. 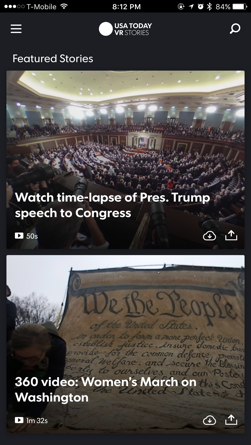 Redesign of USA TODAY NETWORK's mobile app featuring virtual reality (VR) videos and 360 degree photos.